Port Alberni, B.C. - Hammer's Bulldog Blog: Dogs announce four recruits, SHAW TV PAJHS story...keep me out of jail! Dogs announce four recruits, SHAW TV PAJHS story...keep me out of jail! 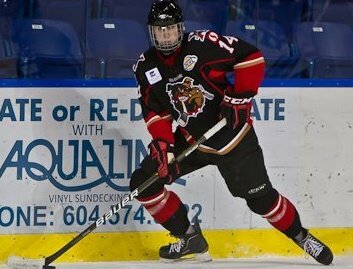 Nathan Craft (94) played this past season with the Cariboo Cougars in the BC Hockey Major Midget League. Craft plays a very physical, hard working style of hockey with an ability to put the puck in the net. Craft contributed with 48 points (27 goals, 21 assists) in 35 games for the Cougars and added 103 PIMs. Craft’s 27 goals were 4th best in major midget. Craft was named to the major midget all-star game earlier this season. Craft and his family are from Kitimat, BC. Craft (6’1”, 196lbs) was signed out of the Quesnel spring identification camp. Kurtis Gosselin (94) played this season in the Detroit Falcons U18 program. In 21 regular season games with the Falcons, Gosselin had 16 points (5 goals, 11 assists) and 37 PIMs. In the playoffs he added 3 points in 4 games. Gosselin is from Brighton, MI and comes in at 5’11”, 192lbs. 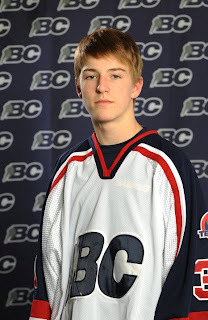 Gosselin was signed out of the Port Alberni spring identification camp. recruits to the Bulldogs’ family. Additional commitments will be announced in the near future. Help keep me out of jail! Make a donation to the cause (tax deductible) and keep me out of the slammer! Visit www.pajhs.com for details, or drop by the office on 4th Ave next to the Coastal Community Credit Union. I spoke with Wendy Ewing today and she told me that there has been a good amount of people stopping by the office with donations on my behalf - THANK YOU VERY MUCH, and please tell you friends/family/in-laws/out-laws/enemies etc to please do the same!